Recent weeks witnessed our little tractor suffering a slow service. Every single job was interrupted by dodgy weather, seized bolts, frozen nuts, or everything at once. It never occurred, despite a plethora of lubricants in use, they were all actually produced by the same company. An email asking us to review WD-40 (NASDAQ:WDFC) changed everything! Household names such as 3-in-1, WD-40, even Solvol, each have featured in the battle to get the tractor ready for the summer season. Thanks to someone asking for a report prior to WD-40 reporting some earnings on Tuesday, we discovered this single company is being tasked with ensuring the red and yellow single-seater lasts through the summer season. 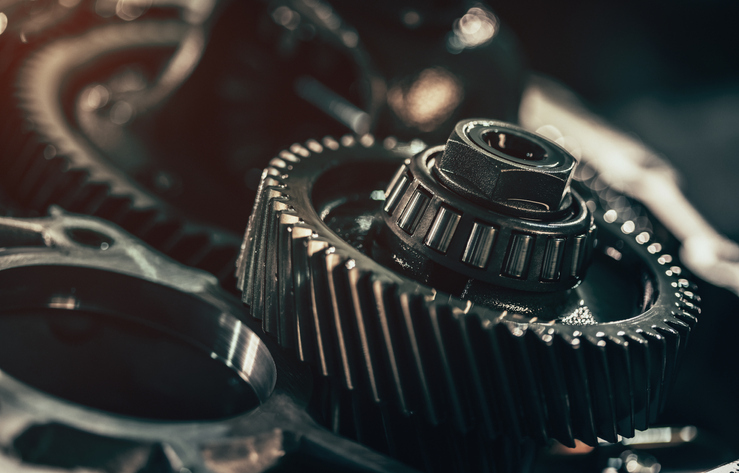 Certainly, with the task of removing just one of the big rear wheels requiring an entire can of WD40 (and a fire extinguisher when a blow torch was also applied), our thoughts should have turned to the products origins earlier. It would also have given a reasonable excuse to further delay a horrible manual labour job, one guided by numerous YouTube videos. 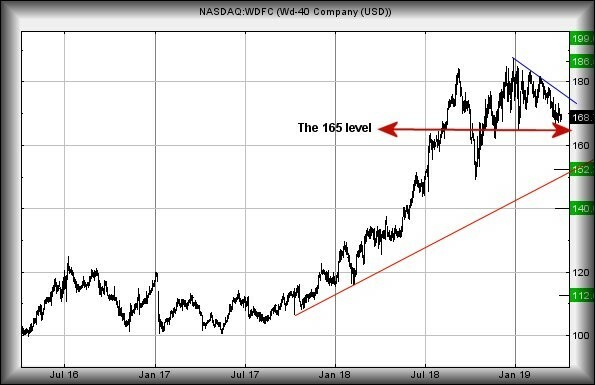 Firstly, the big picture ensured we could calculate $165 as a reasonable upper target for WD-40, this being a maximum level for the share price. It achieved this level last year in August and in the period since, the share has oscillated above and below such an ambition. It would be churlish not to acknowledge the bias of movements have tended above this level, creating the situation where movement now above $177 should prove capable of a lift to $186, effectively challenging prior all-time highs. Closure above $186 will tend to suggest future movement to $199 can be expected. If trouble is planned, weakness now below $161 should signal some reversal coming to an initial $152, along with the challenge of the immediate red uptrend. Ideally some sort of rebound can be hoped at such a level as weakness below $152 risks real trouble, breaking the trend and permitting a journey down to $140. This sort of nonsense risks quite horrible long term ramifications, taking the share into a region where $112 calculates as an eventual "bottom" level. We'd be happier if this sort of target did not make visual sense, given the shares historic dance steps. For now, the bias above $165, along with the small fortune we've spent on the company's products, gives some hope for the future. As mentioned, they are due to report some results once the Nasdaq closes on Tuesday. As for The Grand Tour, their Mongolian episode must - in this writer's opinion - rank as Clarkston & Co at their most entertaining. And we didn't see them use WD-40 once!